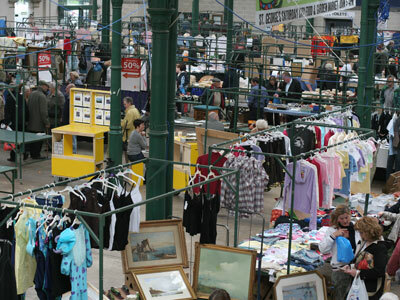 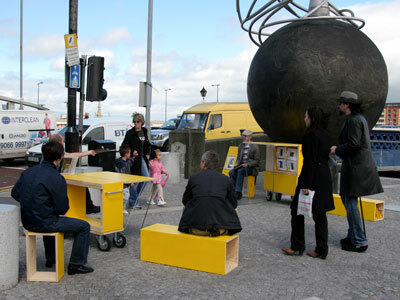 Yellow Space is a project of Belfast-based Building Initiative. 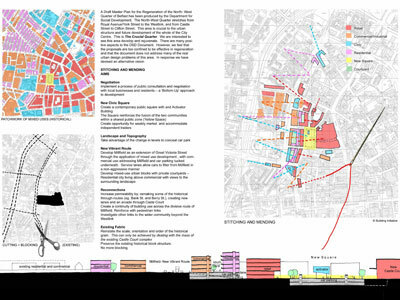 Building Initiative aims to reintroduce a politics of place to Belfast by developing public consciousness of built environment issues. 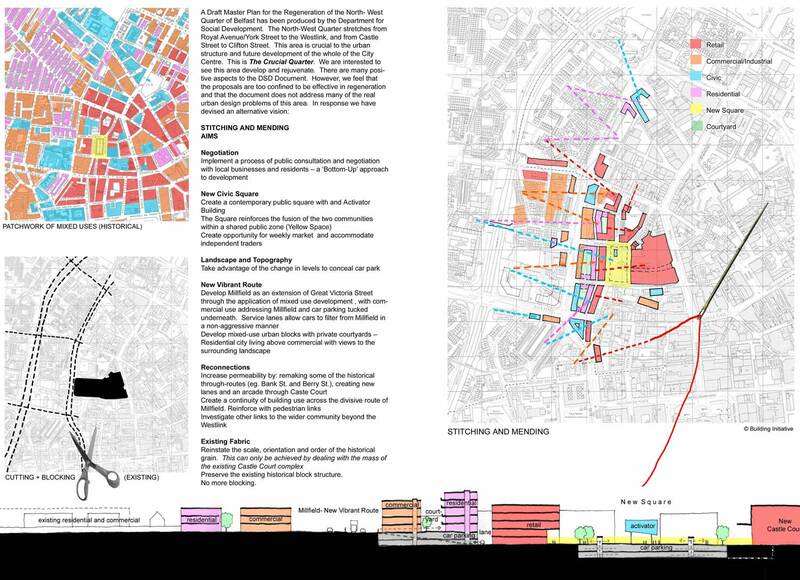 Yellow is the colour of consensus, utility, and universal access – exactly those qualities one expects to find and enjoy in cities. 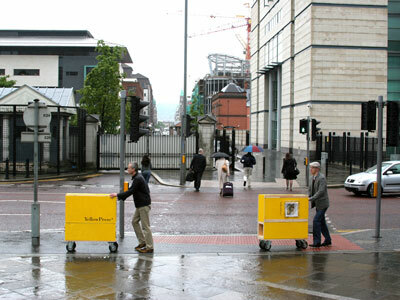 The Yellow Box was used to distribute copies of the broadsheet 'Yellow Press' at various locations in Belfast. 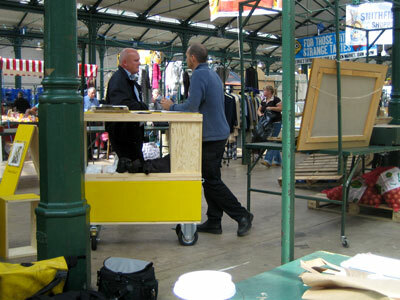 Jürgen Patzak-Poor is a founding member of Building Initiative.